David August - D'ANGELO. Vinyl LP. Bleep. 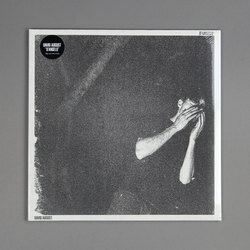 David August builds seven "majestic choral cathedrals of sound" on D'ANGELO for [PIAS]. Despite the rather gothic cover artwork, D'ANGELO is in fact packed full of dreamy disco and "Funky boogie woogie piano hooks up with a choral lushness that picks you up and won’t put you down". If you liked his Counter sessions than this will click in all the right ways.